A new video and written report on the 2017 Arts & Literary Magazines Summit are now available! 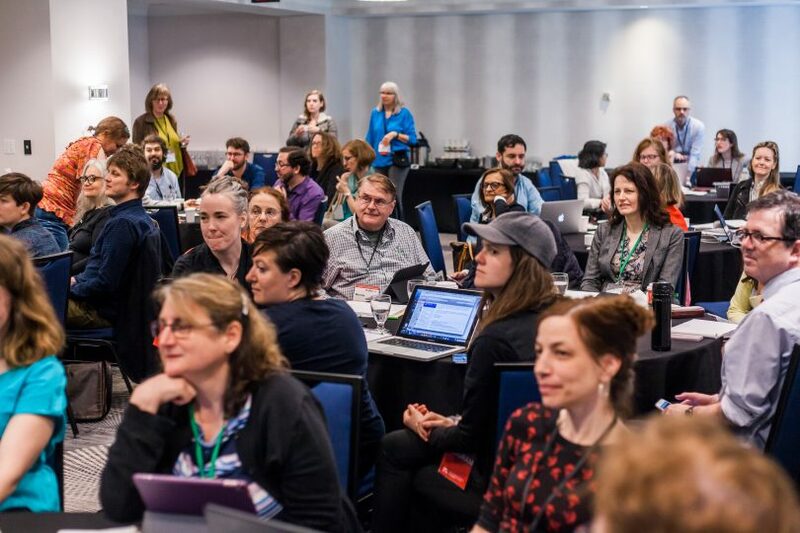 The Summit was a full-day event held on the last day of MagNet with programming designed exclusively for art and literary magazine publishers. Nearly 70 people attended, representing magazines from across Canada, as well as key arts funding organizations. The day included an entertaining and inspiring keynote speech by writer, composer and artist, Gary Barwin, as well as sessions on branding your editorial, diversity and the new grants landscape, membership programs for magazines and a practical guide to newsletters. Summaries of all of these sessions, plus the end of day wrap up discussion are included in the report, which was written by the Summit host, Hal Niedzviecki. It also describes the response by attendees and draws some conclusions around the state of arts and literary magazine publishing today. The two minute video offers a look at the Summit, a sense of the energy in the room and captures enthusiastic reactions from some of the attendees and speakers. Those who attended the Summit will enjoy the report and video as reminders of their day and the ideas they shared. Arts and literary publishers who were not able to attend will appreciate the review of the content and discussion they missed.